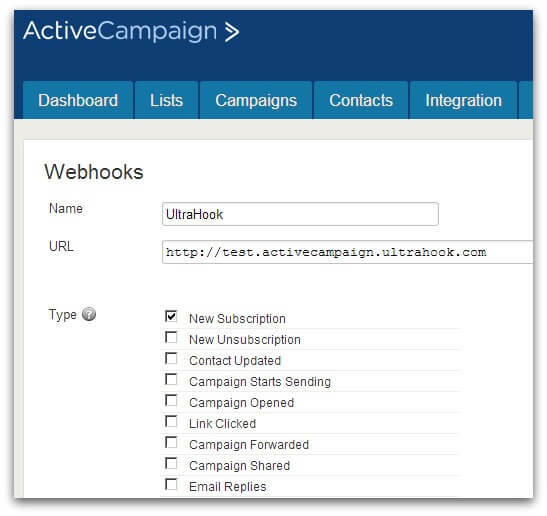 ActiveCampaign webhooks allow you to capture real-time data from your account based on activity such as new or updated contacts, campaigns sending, and more. 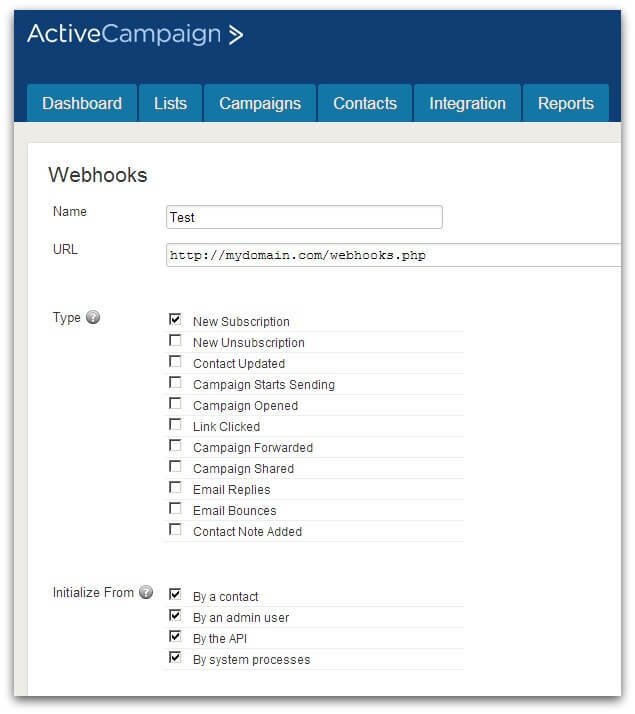 You can even receive the webhook data behind a firewall using a tool like UltraHook or Runscope Passageway. 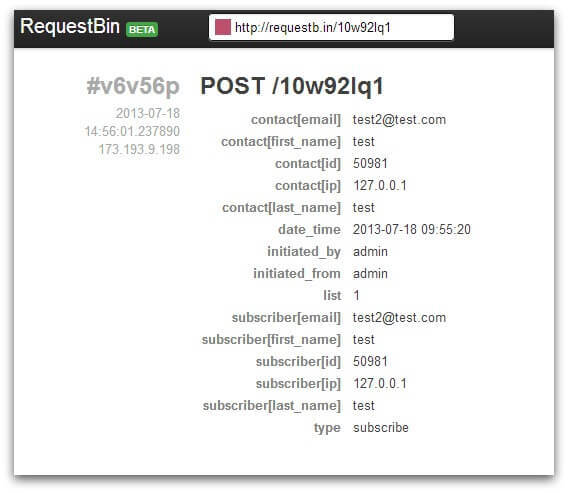 If you are not a developer and prefer to have the data captured and output for you, try a service like RequestBin. You can create public or private bins where you can visualize data coming across. Finally, if you’d like to have another service automate ActiveCampaign data for you – our Zapier, CloudWork, and itDuzzit integrations provide a way to sync data in and out of ActiveCampaign with dozens of other services.